Kittie deserves a bit o’ recognition for managing to stick around for so many years despite line up & label changes that could have easily destroyed the band internally! Changing trends be damned because the Lander sisters managed to keep Kittie going via constant touring and fan support....they never gave up on their goals & dreams and they made it work. 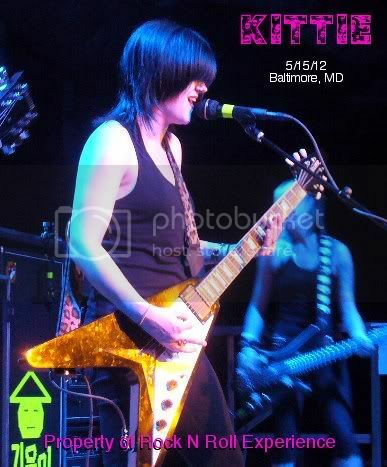 Kittie made a tour stop in Baltimore, Maryland on May 15, 2012 and this version of the band featured the return of Trish on bass while the core 3 of Morgan, Mercedes & Tara remained the constant in the band. “Spit” was the only song played from the bands debut release and the line, “God speed, may your death come quickly!” is the lyrics I always think of when it comes to “Spit”. 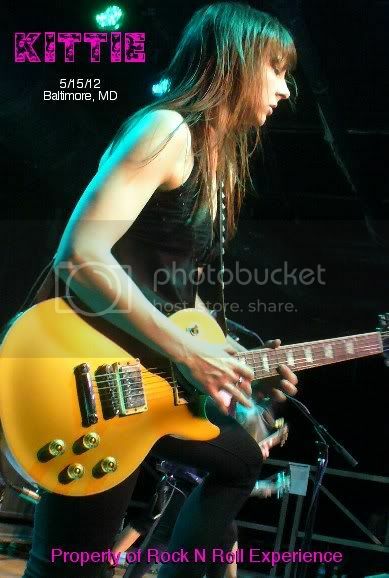 Tara’s lead guitar work really adds an exceptional layering over the thick rhythm Morgan plays and with Trish back in the band on bass I’ll admit that the energy onstage has soared! The stage set up was very simple, it was just the band and their gear which was really all they needed because they take the stage & do their thing with no need for heavy production. “What I Always Wanted” was my personal favorite of the set & it’s a song that I think really defined an era of the band that’s long since passed yet still holds up very well. Mercedes is a character on and off stage and she smiled throughout the entire set! Clearly she was having a blast & if you listened closely between songs you could hear Mercedes telling jokes to the band. 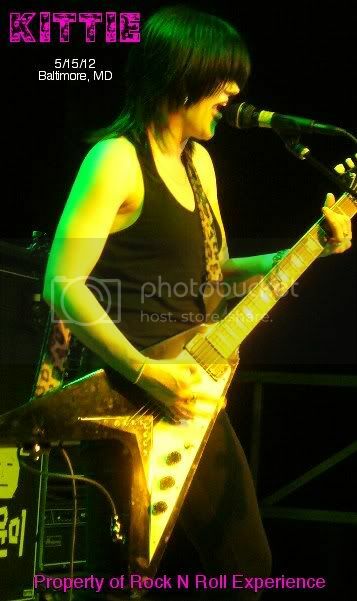 The onstage chemistry Kittie had this night was clear because they sounded great, they played hard & heavy, the crowd sang along to nearly every song and the band interacted with the crowd like seasoned pros yet they didn’t come off jaded like the seasoned pros usually do. 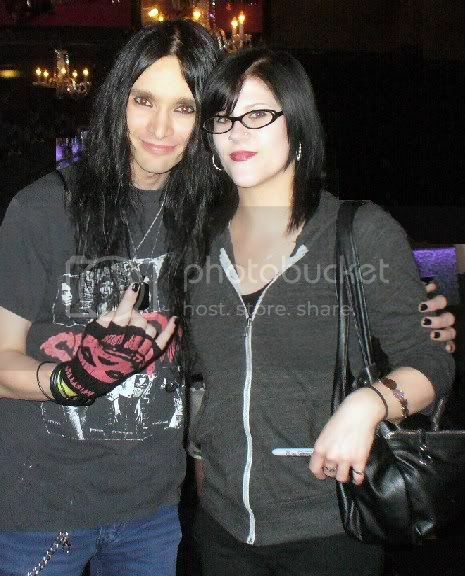 Kittie were very appreciative for their fans loyalty & support and all in all the show was excellent.